Face tattoos aren’t just for SoundCloud rappers anymore, though this is where you’ll see a huge number of people sporting them. Celebrities and musicians especially are sporting more and more visible body art, with the face being the latest area to be claimed for art. There are a few reasons why people would want to get a face tattoo, and there are significant downsides to getting inked in a such a visible spot. We talked to a tattoo artist to find out more about this latest tattoo trend. This is what we learned. Face tattoos aren’t something you get if you want to be inconspicuous. Florida tattoo artist Mully emphasizes this point, saying that “getting your face tattooed is a very bold statement, one that should be thought out, very carefully. There is no way to hide or cover a face tattoo, you can’t just wear a long-sleeve as if it were on an arm”. Keep that in mind if you’re considering getting inked on your face – it’s nearly impossible to hide. You should also prepare yourself to grab people’s’ attention, “People will stare at you and judge you, so be prepared for that. With a tattoo you need to make the decision to be tattooed and go in confidently and own it. This tattoo is now a part of you forever”. This isn’t the kind of thing you want to do on a whim. If a face tattoo is something that you’ve really thought about and know what to expect from repping one, then go for it. Mully recommends that if you’re really into the idea, not to let the opinions of other people hold you back, “I think with any tattoos, you should get the tattoo for yourself and not care what other people think, it does not belong to them. I have had clients cover tattoos, even though they like them, because they are tired of answering questions/judgement from other people”. Never let other people be the reason you decide to change something, especially altering a tattoo that you love. 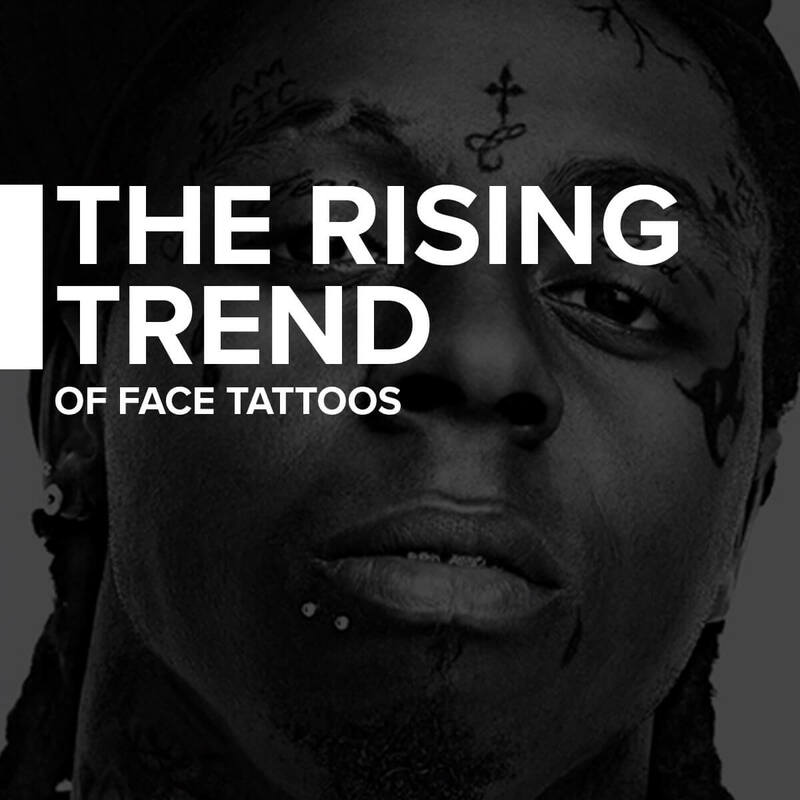 There’s a specific appeal when it comes to face tattoos, and the biggest one, according to Mully, has to do with sending a message, “I think the biggest appeal of face tattoos is to show others that you don’t care what they think. Tattoos used to be taboo and for the rebellious people, now people in all walks of life have tattoos”. That being said, he doesn’t think that these kinds of tattoos are for everybody, especially those who are new to tattoos, “If a client comes to me for a face tattoo I figure out what is the reasoning? In my opinion, certain tattoos or areas need to be earned”. He believes, for example, that you shouldn’t have your throat tattooed before getting your chest inked, “My reasoning: some people get a throat tattoo to look heavily tattooed, but then they take their shirt off and the naked chest looks so blank, empty, and kind of dumb. Same with a hand tattoo before the sleeve. It just looks like they are wearing a glove”. Being heavily tattooed doesn’t automatically mean you should be getting a face tattoo though. There are a couple of criteria that an ideal candidate for face tattoos should meet, “for me, to tattoo someone’s face, I would expect them to be heavily tattooed, financially secure or have the type of job/career path that a face tattoo is acceptable”. Not every artist is willing do this type of work though. Mully doesn’t have a rule against any tattoos, but some tattoo artists won’t ink faces or hands, “I will tattoo most places, as long as I agree with the design and think it fits the area. I’ve only done one head tattoo and would love to do more so if anyone is reading this: lets tattoo you”. Don’t be fooled into thinking that just because tattoos are widely accepted now, face tattoos are in the same realm, “Tattoos have become more mainstream and will continue to be more acceptable. A face tattoo is still a face tattoo”. It’s a bold move to make, and outside of celebrity culture and, unfortunately, prison, face tattoos aren’t seen in quite the same light as other kinds of body art. Even Mully has weighed out his options, “I have considered getting my face tattooed in white ink so that it is there, but not noticeable from a distance”. But even as a tattoo artist, he struggles with the idea of taking that plunge, “there are still times that I may not want a bold tattoo on my face”. Before getting any kind of ink on your face, make absolutely sure that it’s what you want, and it won’t have a negative impact on your future. Face tattoos aren’t the kind of thing you want to go into lightly. Unless you’ve really considered where you’re at life and your career, whether or not this kind of ink could impact that, and know for sure that you can handle any potential criticism that may come your way, you should think twice before getting a face tattoo. 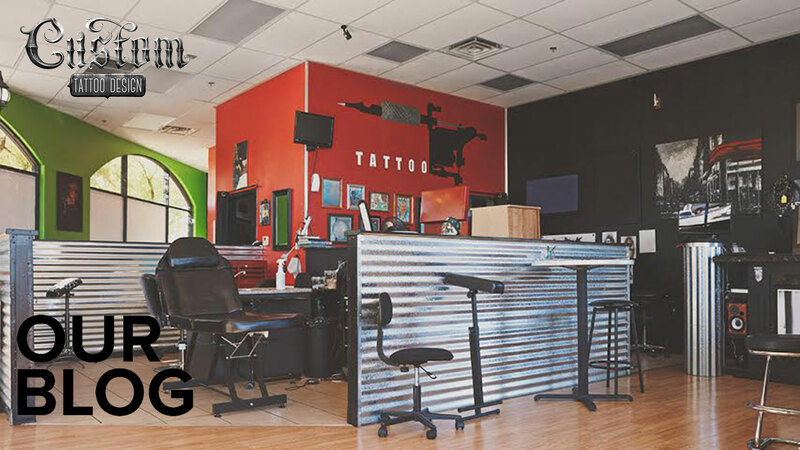 It’s a great way to stand out and grab people’s attention, but if that’s not a situation you enjoy, consider getting a different kind of tattoo. Do you have a face tattoo? Let us know in the comments!